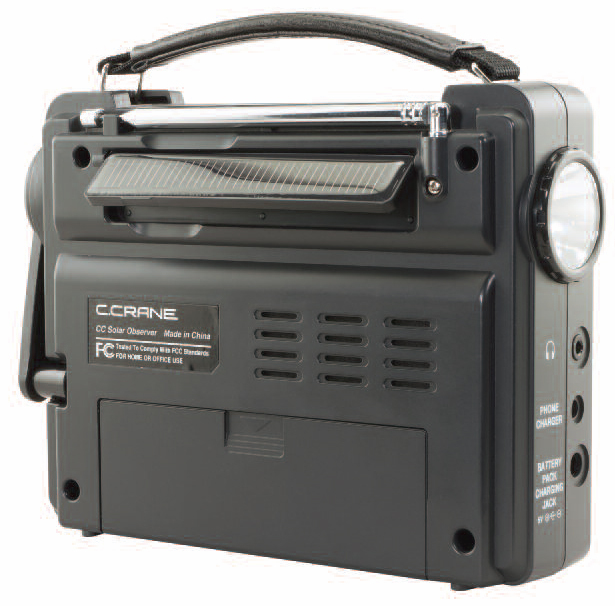 The C Crane CC Solar Observer is your emergency radio solution. Hear information from your favorite AM or FM station. And you can select from all seven NOAA weather channels. The display is even back-lit for evening viewing. This radio can be powered by a wind-up dynamo, built-in solar panel or three AA cells (not supplied). 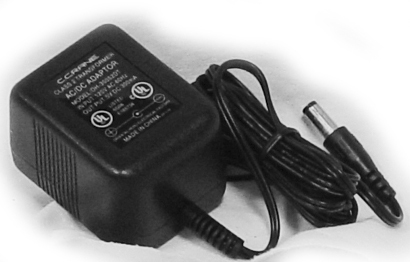 There is also an optional AC adapter (see below). 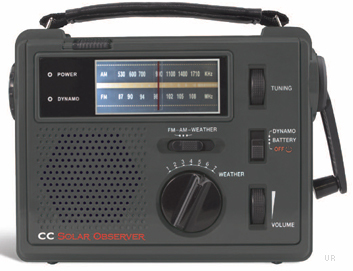 The back panel features a swivel type telescopic antenna for the FM and weather bands. The left side of this radio has a 3-LED flashlight to illuminate your way. The right panel has jacks for earphone output, DC input or charging. Copyright 2011-2015, Universal Radio, Inc.